Figure 37. 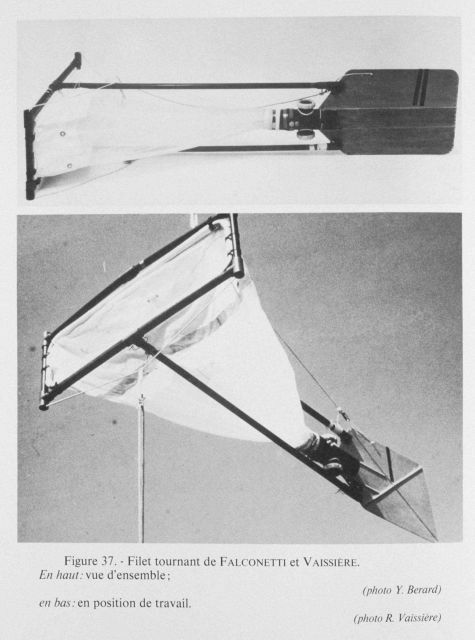 Falconetti and Vaissiere turning net devised by Raymond Vaissiere and Claude Falconetti of the University of Nice in 1972. Top: the equipment. Bottom: in operating position. This net was designed to capture plankton and the larvae of benthic species at a small distance off the bottom. It was able to stay under water for prolonged periods and easy to use.